Kristen Levine is a pet living expert, author and pet rescue advocate. She firmly believes we need pets as much as they need us, and thus founded the Kristen Levine Pet Living blog, where she shows us how to live happier, healthier lives through pets. Kristen lives in Florida with her husband, dog (Chilly), one cat (Olivia) and two miniature donkeys. This year, our family is taking a road trip to Colorado for Christmas. Or at least most of us are. My husband, Paul, and I and our dog, Chilly, will make the three-day drive from Florida by car. However, our sweet Olivia won’t be joining us on the long trek west. Olivia is about 14 years old, and she’s never done much traveling. So a long trip in the car, followed by a stay in a new place with new people and new pets would just be too stressful for her. When we take shorter trips, our pet sitter stays at the house with Olivia. But this trip will take us away from home for nearly three weeks! So, given her “senior status” and the length of time we’ll be gone, we decided we’d be more comfortable boarding her at our veterinarian’s office, St. Francis Pet Care Center. 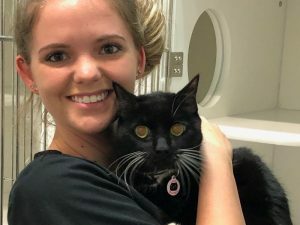 They have beautiful cat condos for feline guests and because all of her health records are there, we know she’ll be in good hands if anything happens. Plus, Olivia already knows some of the staff there, so she’ll have some friends to visit and play with her. I have to admit, it’s still a little nerve-racking to board her for the very first time! So, I did some research for Olivia’s sake, for my sanity and to help others. Here are my top tips to make the experience easy on both you and your cat. Book early. If you’re traveling during a busy time (like the holidays), your place of choice may fill up if you wait until the last minute. Ask about vaccination policies. 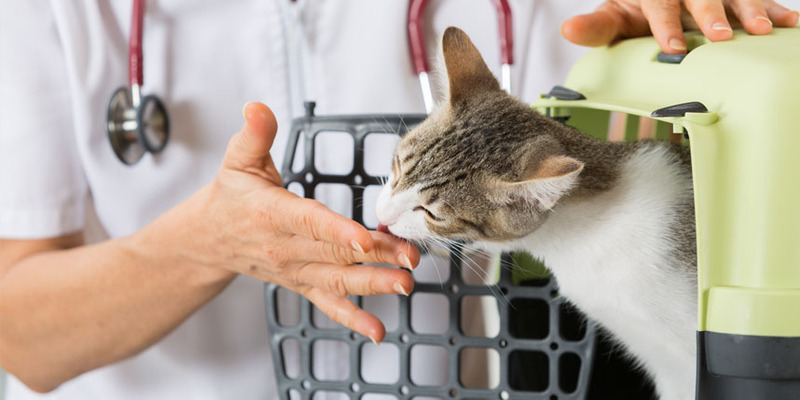 The cat boarding facility, if it’s not your regular vet, may require proof that your cat has had certain vaccinations. Make sure your cat is up to date, and then your vet can provide you with the paperwork you need. Consider the cost. 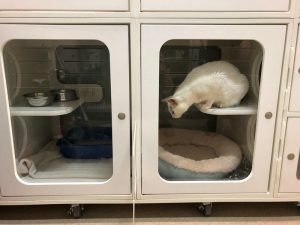 Boarding your cat at a nice facility probably won’t be cheap! Make sure to include the cost of boarding in your vacation budget! Visit the boarding or overnight center in person ahead of time and ask to see where your kitty will be staying. Check out the cat condos. Being placed in a cage surrounded by unfamiliar sounds, smells, and animals is enough to cause most cats some level of stress. 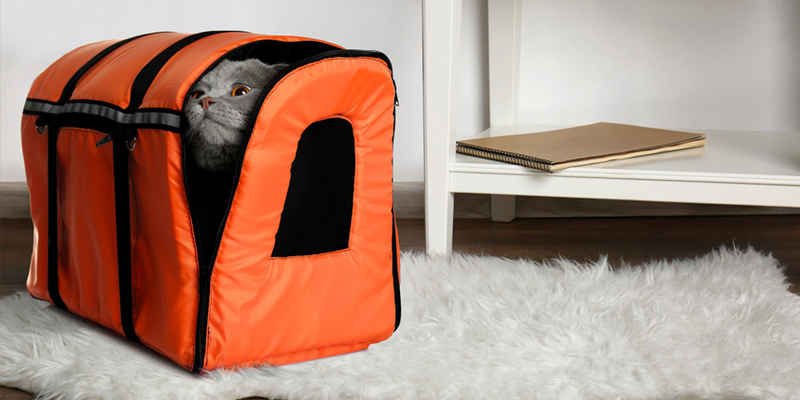 A kitty condo with hiding places and elevated areas goes a long way to give a nervous kitty a sense of security. 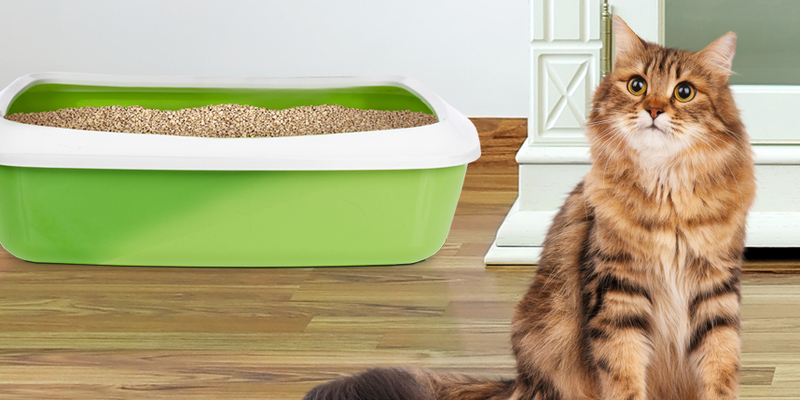 It should be large enough that there’s a little space between food dishes and the litter box. In our case, we’ll be asking for a large cat condo, due to the length of time we’ll be away. We want Olivia to have plenty of room to stretch and walk around. Make sure that cats and dogs are kept in separate areas. 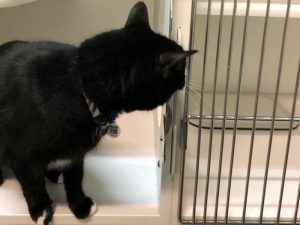 This sounds like an obvious expectation, but some boarding facilities may have dogs and cats separated by only a wall, meaning your cat will likely hear and possibly smell the resident canines. Ideally, find a feline-only facility or, be sure there’s an adequate separation of cat and dog guest quarters. This is particularly important if your kitty doesn’t live with dogs or doesn’t have a friendly relationship with the dogs in her life. Ask about cuddle and playtime. 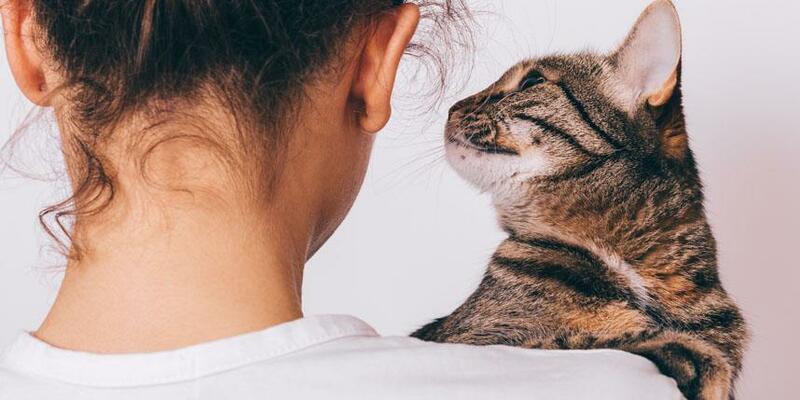 A little pampering can help your cat to relax and enjoy her stay. Ask if the staff plays or snuggles with the feline guests. You may also want to find out what they do to help reduce anxiety or fear. Discuss your medical concerns. Find out if there is a vet on call and if animals are monitored at night. If your kitty needs any medications, you’ll want to make sure that staff at the boarding facility is able to give medication. If you have the opportunity, and if you think your cat will benefit, bring her with you when you visit the facility. I’ll be taking Olivia for a visit before I drop her off for her stay. That way, drop off day won’t be her first time experiencing her temporary home. Cats are creatures of habit. Bringing a few familiar toys or supplies can help your cat to cope during their stay at the cattery. We’ll be bringing Olivia’s regular diet and her favorite treats, toys, bed and cat litter (World’s Best Cat Litter™, of course). Since her environment will be so new, she’ll find comfort in these familiar things. As far as cats are concerned, there really is no place like home. But boarding your cat at the right facility can still be a paw-sitive experience. As much as we’d love to have her with us, we know Olivia will be much happier in her kitty condo while we’re gone. And we’ll have the peace of mind of knowing that she’s being well taken care of until we come back.